Marie Stopes PNG last week held a first of a series of workshop to inform health workers of the importance of providing friendly and professional family planning services. The workshop is in support of the 2014 National Family Planning Policy. The vision of the 2014 National Family Planning Policy (NFFP) is to see all Papua New Guinean couples and individuals to be able to achieve their reproductive goals safely and healthily. 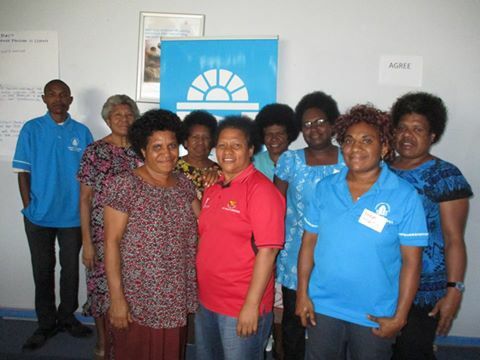 Six health workers from the National Capital District (NCD) attended the family planning workshop in Port Moresby. The aim of the workshop was to equip health workers with adequate information and awareness to provide friendly and professional service to every individual and particularly youth who seek family planning services. The training was conducted by Marie Stopes PNG’s project called ‘Rights at Every Level’, an advocacy project targeting youth on family planning and sexual reproductive health. The project’s team leader, Ms Loretta Bele said family planning is essential for all families and youth who are considered most vulnerable and marginalised. Ms Bele also said PNG national statistics show that four women die every day due to complications during pregnancy and delivery and that teenage pregnancies have a greater risk of experiencing complications. She said most youth don’t access family planning services because of fear of discrimination, stigma including traditional taboos and religion. “We hope that after the workshop, participants will support and advocate for the provision of family planning information and service to youths”, Ms Bele said.